There are so many great stories about Milo that it was hard to choose which stories to give you now and which to save for later! Milo is Bart’s paternal 2nd great grandfather. Milo is also Lucille DEWITT’s dad. I wrote about Lucille here. Milo married Rebecca BELL. On this date in 1911, at the young age of 48, Milo was laid to rest- one day after he passed away. Today we are celebrating his life. When the occupation of 'Postmaster' showed up on Milo’s 1900 Federal census entry, I was pleasantly surprised. It isn’t every day that you find ‘Postmaster’ listed as an occupation. Records that I’ve been able to find show that Milo was appointed Postmaster at Burgevin, LeFlore County, Oklahoma on 19 October 1895. He held that position until 1898. On 28 April 1898, Emma Simmons took over the Postmaster position in Burgevin. Burgevin Post office was discontinued the same year Ms. Simmons took over. Burgevin was located 17 miles northwest of Spiro, LeFlore County, Oklahoma. It no longer exists as a town as far as I can tell. 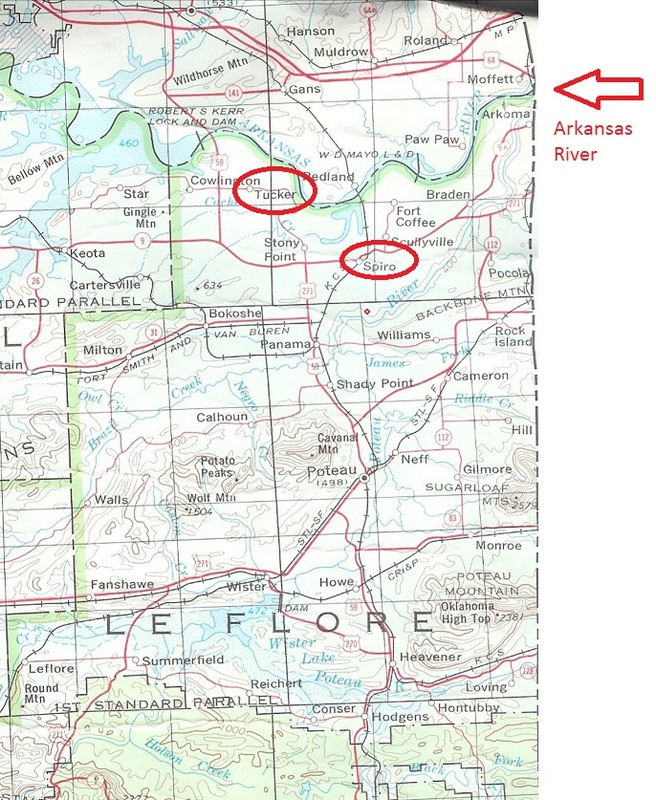 1915 map of the area south of the Arkansas River including Spiro and Tucker. This is the general area where Milo lived in 1900. I’m not sure where Milo was working between 1898 and 1900 but I picked him back up on the 1900 census still working as a Postmaster. I’m trying to narrow down the area where he was living but the closest I can come is this map. He was “south of the Arkansas River” and that’s the best I can tell you. In 1900 he stated he had been married to Rebecca for 17 years. Rebecca stated she had given birth to 7 children and all 7 were still living. There are 7 children living in the home with Milo and Rebecca. 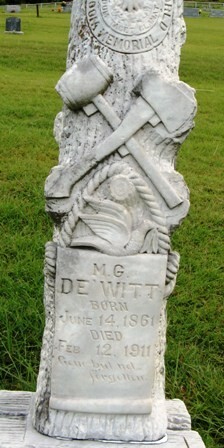 Milo's brother, Ben DEWITT, was also living with the family in 1900. In the records, I picked up Milo again in 1903 working as Postmaster at the Tucker Post Office in Tucker, LeFlore County, Oklahoma. Tucker is in northwestern LeFlore County, 9 miles northwest of Spiro. In the 1903 record, it shows that Milo was earning $67.46 in wages. I was unable to find any explanation about whether that amount was a yearly or monthly wage. I have been unable to locate any newspaper articles about him that might help complete his story. Woodmen of the World is a non-profit fraternal benefit society (similar to a Masonic Lodge) founded in 1890 and based in Omaha, Nebraska. The society was founded by Joseph Cullen Root to benefit people working in dangerous jobs such as loggers. Membership wasn’t restricted to loggers and included anyone with a dangerous occupation. The society was originally called Modern Woodmen of America and was based in Lyons, Iowa in 1883. Joseph Root founded the society after hearing a sermon about “pioneer woodsmen clearing away the forest to provide for their families.” Considering his own surname, the topic of the sermon, and how the sermon moved him, Joseph decided he wanted to start a society that “would clear away problems of financial security for its members.” At some point early on there was some internal discord after which Root was kicked out of the organization he founded. When he moved to Omaha he decided to start again with a new group he called the Modern Woodmen of the World. Shortly after, he dropped the word as ‘Modern’ from the title and that’s how Woodmen of the World came into existence. In the 1960’s, the organization absorbed some other smaller fraternal organizations such as the United Order of the Golden Cross, Order of Railroad Telegraphers, and New England Order of Protection. Like other fraternal organizations it had an auxiliary for the women. Woodmen of the World’s auxiliary was called Woodmen Circles. Local units were called “Groves”. This auxiliary was absorbed into Woodmen of the World in the 1960’s. There was a spinoff auxiliary but it was re-absorbed by Woodmen of the World in 2001. In addition to the women’s auxiliary there were also organizational units for children- Boys of Woodcraft and Girls of Woodcraft- both of which later became Woodmen Rangers and Rangerettes. In 2015, the organization began marketing itself as WoodmenLife. For a while, Woodmen of the World played an important role in broadcasting but was eventually forced to get out of this business due to their non-profit status. Johnny Carson got his start on the Woodmen’s station, WOW-TV. Eventually the television station was known as WOWT and was sold to Chronicle Broadcasting. The Woodmen’s radio station call letters were WOAW. Today you can hear the station under the call letters KXSP (1490, a Top 40 Hits station) on the AM dial and KQCH (94.1, a Top 40 Hits station) on the FM dial out of Omaha, Nebraska. If you feel like listening today, you can listen to the station live online at http://www.channel941.com/. Would you prefer to watch a movie? You can catch Jack Nicholson in About Schmidt playing a retired Woodman executive actuary. Woodmen of the World place high priorities on benefitting their communities and others. They have a strong flag donation program. You can get on their website and check out all their programs. Also on their website, they have a section for the flag and whether it’s flying at full- or half-mast the day you visit the website. They also do special lighting on their huge building in Omaha, Nebraska. You can see their special lighting of the day on their website. Try going to the website on the anniversary of 9/11. They do a 9/11 memorial ceremony each year on the anniversary of 9/11. They are a very patriotic organization. You can get more detailed history and information about Woodmen of the World at these sites: Woodmen.org or SRJ Archives. I also enjoyed reading this blog post on Woodmen of the World at A Grave Interest blog. There is one thing they do that Bart and I took notice of years ago even before we knew anything about Woodmen of the World. They have fantastic gravestones. 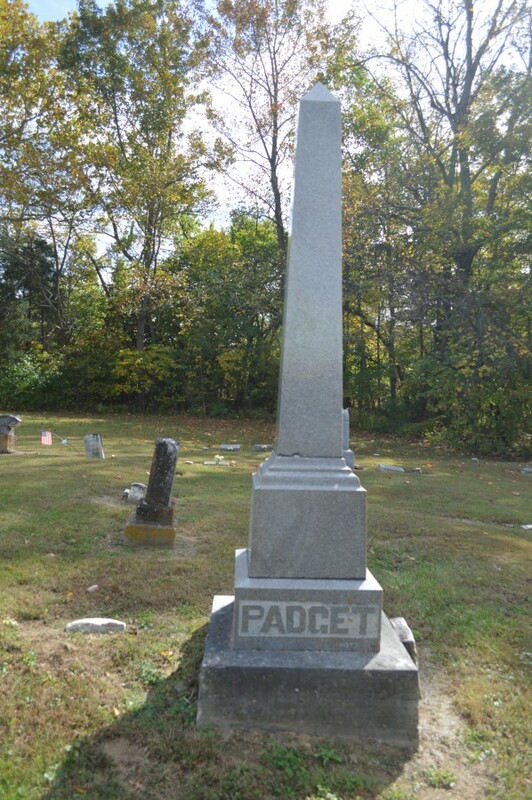 This photo comes from the FindAGrave website. This is the gravestone for Milo DEWITT. This is not the best photo but it's the only one I have right now. I love this stone! It’s a Woodmen of the World gravestone. The organization wanted to ensure that “no Woodmen shall rest in an unmarked grave.” The stones could be personalized to a certain degree and there is a good variety of stones that I’ve seen in cemeteries around the country. One thing I love about Milo’s stone is that he opted to have the Woodmen emblem and motto on his stone. The motto is in Latin and reads, “Dum Tacet Clamet” which means, “Though silent, he speaks”. There is much more I'd like to tell you about Milo but I'll save that for October when we celebrate his birthday. Maybe on another day this week I will post some other Woodmen stones we’ve found over the years because they are just that cool! I want today to be about Milo though, so I’m only posting his today. One more interesting fact…Joseph Root, the Woodmen founder, declared June 6th of each year to be “Woodmen Memorial Day”. He declared that on this day especially, Woodmen who had died should be remembered and honored. When a Woodman died, Woodmen organizations held “remembrance celebrations”- a parade of members marched to the cemetery where the deceased member’s Woodmen tombstone would be unveiled and dedicated in a special ceremony held by the local lodge. I do hope Milo got a remembrance celebration. I hope this year that each of you can plan a special celebration on June 6th in remembrance of our very own Woodman, Milo DEWITT. Even more than that though, I hope each of you will take the time today to celebrate and enjoy the living loved ones God has placed in your lives. Don’t save the biggest and best celebrations for when they die. Enjoy your people NOW while they are living. Love on them, hug and kiss them, leave no doubt that you love them dearly. Tomorrow isn’t a guarantee for any of us. You can’t go wrong with love. Love and hugs to all of you from me! Monday February 13th: Milo DEWITT’s death date anniversary is on this date. Milo is Bart’s paternal 2nd great grandfather. Thursday February 16th: George PAGE’s death date anniversary is on this date. George is Bart’s paternal great grandfather. Friday February 17th: Karl BRUMM’s birth date occurs on this date. Karl is Bart’s maternal 3rd great grandfather. So, if you’re Bart’s family- it’s going to be a great week for you! 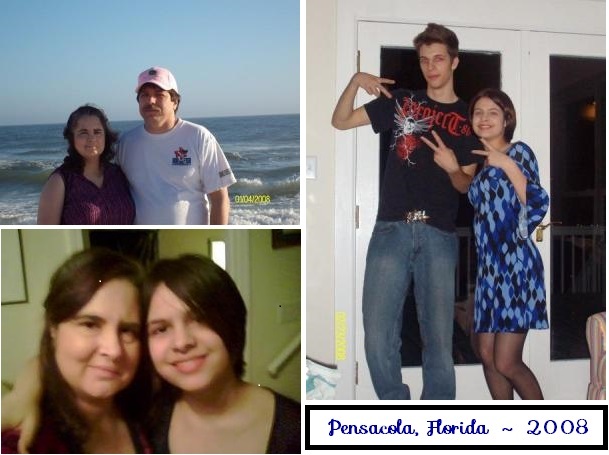 Also, if you’re Bart’s family and you have any stories about these people please send the stories, photos, etc. ASAP! The more you contribute the better the post is for everyone. For my family, I will try to throw in an extra post this week so you all have something to read that “belongs” to you. Also for my family, a look-ahead for the week after- I’ll be posting about Levi HUBBARD and Eliza BELL WILLIAMS. If you have any stories, photos, etc.- please start gathering those now to send to me. Weekend Wrap-Up #6 and a SURPRISE! It’s the weekend! YAY! I haven’t been able to do much extra research for a couple of weeks now but I’m thankful for Becky who was able to do a little extra research this week and share it with us. Also, be sure to read to the end because there's a big surprise at the end of the wrap-up! Becky and I are looking into whether or not Sarah was a midwife. We may never know definitively but we’re trying. Rebecca WORK, who was at two of the three births documented in my post earlier this week, was also recorded as being at other families' births in the same locale. I’m fairly certain Rebecca was a midwife. My question comes in whether or not Sarah was a midwife or midwife-in-training (or neither). Fold3 record from Becky- one of the records showing Rebecca was present at the delivery of the HOBBS children. Becky and I have also both questioned whether or not that is really Sarah on the 1870 Mortality schedule. Something’s going on- we’re just not sure what. There is a Sarah living with Nicholas and his children in 1880. 1870 Mortality schedule- Sarah dies of consumption. 1870 Federal census- Nicholas and children are censused without Sarah. 1880 Federal census- Nicholas and children are censused with Nicholas’ wife, Sarah. So, is this a second wife named Sarah? 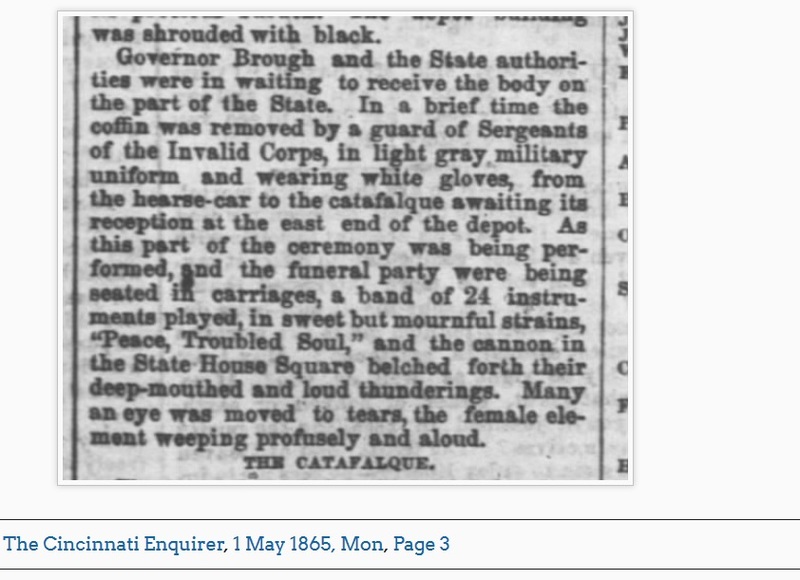 Was Sarah, for some reason, mistakenly assumed dead or mistakenly censused as dead in 1870? We don’t’ know all the answers yet but we’re still looking so there may be a future update on Sarah. I have no updates yet on these two women. My husband’s Uncle Gerry is in the process of sending me copies of some records so there will, at some point, be an update on Lucille. For now, there is no new information to post. John WILLIAMS- I forgot him! When I posted the week’s schedule last Sunday I completely forgot to add in John WILLIAMS, my paternal 3rd great grandfather! John was born on this date in McKeesport, Illinois. You will never find this place on a map. I’m not sure where it is, actually. The information I have on his birth comes from his obituary and gravestone as well as this biographical piece in Historical Review of Arkansas: Its Commerce, Industry and Modern Affairs, Volume 3 by Fay Hempstead. Biography of Edgar WILLIAMS, son of John WILLIAMS. John was “a highly respected citizen of Roubidoux” in Texas County, Missouri. This was reported by the local paper in 1904. 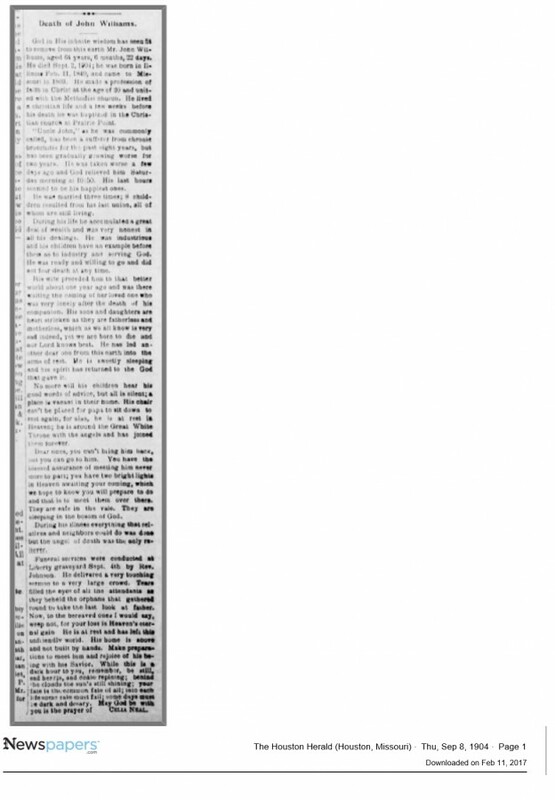 (The Houston Herald, 8 Sep 1904) He must have been well acquainted with the folks at the newspaper office because there were quite a few times that the local paper reported in the gossip column that John had come into town (Houston) to do business. John was married at least three times. His son Samuel was my 2nd great grandfather and was John’s first known son by his first known wife. I say “known wife” loosely since I don’t have any idea what her name was. John professed his faith in Christ at age 20 and joined the Methodist Church. He had one child by each of his first two wives and eight children with his third wife. It is said that when John’s son Samuel (my 2nd great grandfather) married my 2nd great grandmother Eliza Emma BELL that John disowned him. The reason is not known. You can read more about John and this particular issue at my cousin Annie Blanchard’s blog, Digging Genealogy. That link will get you to all of Annie’s posts about John and his son Samuel and that branch of the family. Much of what I know about John comes from Annie’s blog posts and from two incredible obituaries (one for John's wife Armazinda and one for John) written by John’s friends at The Houston Herald. 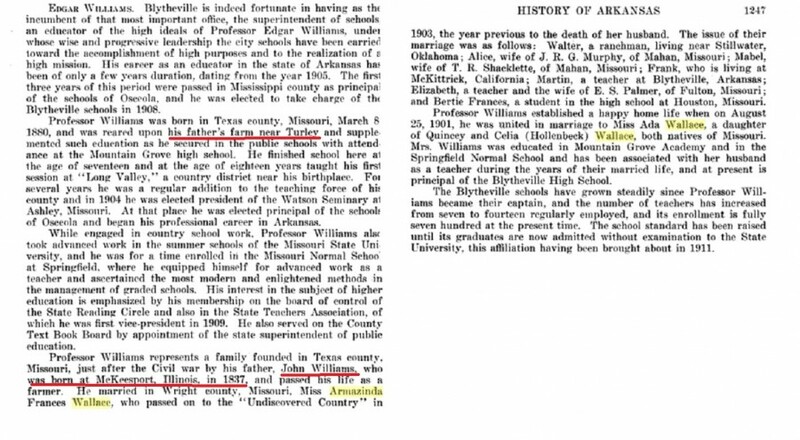 Armazinda WALLACE WILLIAMS' obituary (sorry for the quality- it was the best I could do). 20 August 1903 The Houston Herald, Houston, Missouri. John WILLIAMS' obituary. 08 September 1904 The Houston Herald, Houston, Missouri. God in His infinite wisdom has seen fit to remove from this earth Mr. John Williams, aged 64 years, 6 months, 22 days. He died Sept. 2, 1904; he was born in Illinois Feb. 11, 1840, and came to Missouri in 1869. He made a profession of faith in Christ at the age of 20 and united with the Methodist church. He lived a Christian life and a few weeks before his death he was baptized in the Christian church at Prairie Point. “Uncle John, as he was commonly called, has been a sufferer from chronic bronchitis for the past eight years, but has been gradually growing worse the last two years. He was taken worse a few days ago and God relieved him Saturday morning at 10:50. His last hours seemed to be his happiest ones. He was married three times; 8 children resulted from his last union, all of whom are still living. During his life he accumulated a great deal of wealth and was very honest in all his dealings. He was industrious and his children have an example before them as to industry and serving God. He was ready and willing to go and did not fear death at any time. His wife preceded him to that better world about one year ago and was there waiting the coming of her loved one who was very lonely after the death of his companion. His sons and daughters are heart stricken as they are fatherless and motherless, which as w[e] all know is very sad indeed, yet we are born to die and our Lord knows best. He has led another dear one from this earth into the arms of rest. He is sweetly sleeping and his spirit has returned to the God that gave it. NO more will his children hear his good words of advice, but all is silent; a place is vacant in their home. His chair can’t be placed for papa to sit down to rest again, for alas, he is at rest in Heaven; he is around the Great White Throne with the angels and has joined them forever. Dear ones, you can’t bring him back, but you can go to him. You have the blessed assurance of meeting him never more to part; you have two bright lights in Heaven awaiting your coming, which we hope to know you will prepare to do and that is to meet them over there. They are safe in the vale. They are sleeping in the bosom of God. During his illness everything that relatives and neighbors could do was done but the angel of death was the only reliever. Funeral services were conducted at Liberty graveyard Sept. 4th by Rev. Johnson. He delivered a very touching sermon to a very large crowd. Tears filled the eyes of all the attendants as they beheld the orphans that gathered round to take the last look at father. Now, to the bereaved ones I would say, weep not, for your loss is Heaven’s eternal gain. He is at rest and has left this unfriendly world. His home is above and not built by hands. Make preparations to meet him and rejoice of his being with his Savior. While this is a dark hour to you, remember, be still, sad hearts, and cease repining; behind the clouds the sun’s still shining; your fate is the common fate of all; late each life some rain must fall; some days must be dark and dreary. May God be with you is the prayer of Celia Neal." That is quite an obituary! I don't know that I've ever found a longer, more flowery obituary for any of my ancestors as Celia's was for John WILLIAMS. 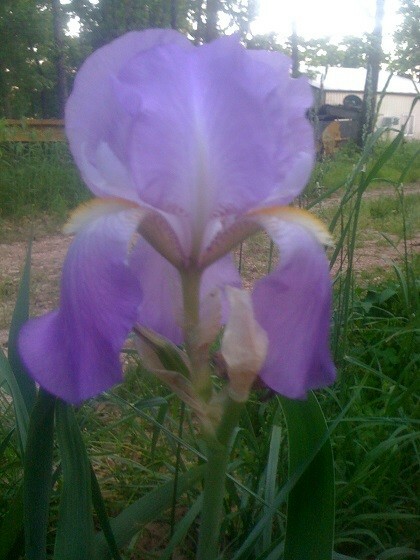 Armazinda's was equally long and flowery. I'd be happy to provide a transcription for hers if anyone wants it. Family, you can never say again that you didn't have any wealthy ancestors. You've heard it from The Houston Herald yourself- John was wealthy, well-respected, and a pillar of the community! That’s your update for this week. I found an error while proofing this post but when I went back in to correct it later I couldn't find it again, so you get a bonus error (probably more than one, truth be known!) with your blog post! Enjoy your weekend and be sure to come back tomorrow for next week’s schedule. On this date in 1788, Mary McATEE was born in Maryland. Mary is my paternal 5th great grandmother. Her parents were Samuel and Mary MASSEY McATEE. Mary McATEE married John WEDDING in 1810 in Maryland. I blogged about Mary a couple of years ago here. I’ve told you what I know about Mary in my previous blog post about her. However, last year over Thanksgiving and Christmas breaks I was so fortunate to get to travel to Cincinnati, Ohio and I took side trips (of course!) to Clermont County. 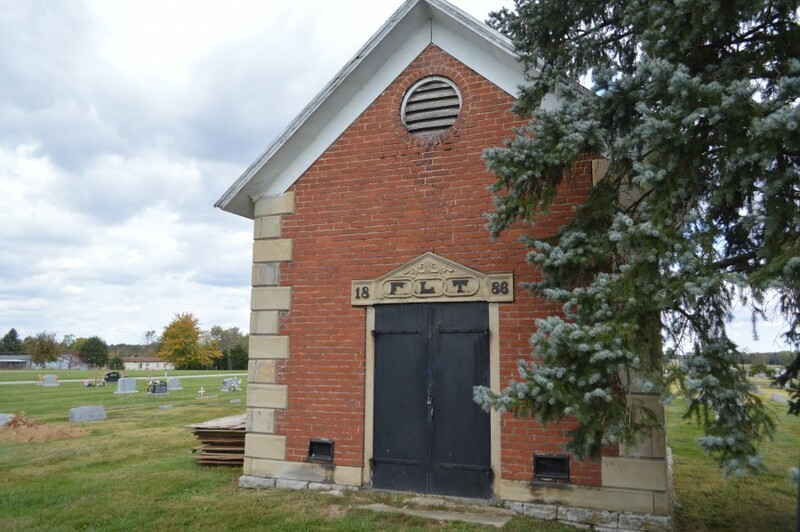 One of the places I went to was Calvary Cemetery in Felicity, Clermont County, Ohio. I got to visit John and Mary’s graves for myself. I even got to visit two of their daughters' graves. It’s one thing to find the grave on the FindAGrave website. It’s quite another to go visit in person, leave flowers, take photographs, and just spend some time reflecting at the gravesite. Here are some of the photos I took while I was there. I hope you all have a great weekend. Enjoy! What’s left of John and Mary WEDDING’s gravestones. You can see that the name ‘Wedding’ is spelled differently on John’s stone. Matilda WEDDING PADGET and husband William. Matilda is the daughter of John and Mary. Nackey Ellen WEDDING married Thomas RICHARDS. Nackey was the daughter of John and Mary WEDDING. Do you remember Theodore Clay LARKIN (the man with the penchant for baseball bats)? He was buried in the Felicity Cemetery- another cemetery in Felicity. When I went I couldn’t find his grave. I’ve been in touch with another researcher who says she will give me a photograph of his grave. If I receive it I will be sure to share it with you. For now, all I have is this building at the cemetery. Lucille DEWITT was born on 9 February 1882 in Alma, Crawford County, Arkansas to Milo Greenwood and Rebecca Jane BELL DEWITT. Sarah C. DAVIS is my maternal 2nd great grandmother. She married Nicholas REITER whom I wrote about here. Sarah passed away in February of 1870 in Illinois. Today I’m honoring her life. Sarah was born in July of 1836 in Perry Township, Pike County, Illinois. As far as I know, she never left that area. That area is where she was born, where she lived, and where she died. It’s been difficult to find Sarah in records, in part due to the short duration of her life. In the 1850 census (the first one that included details on each and every person residing in a home), Sarah was only 12 years old and living with her parents. I have not been able to find her at all in the 1860 census and in 1870 she passed away before the census was done. 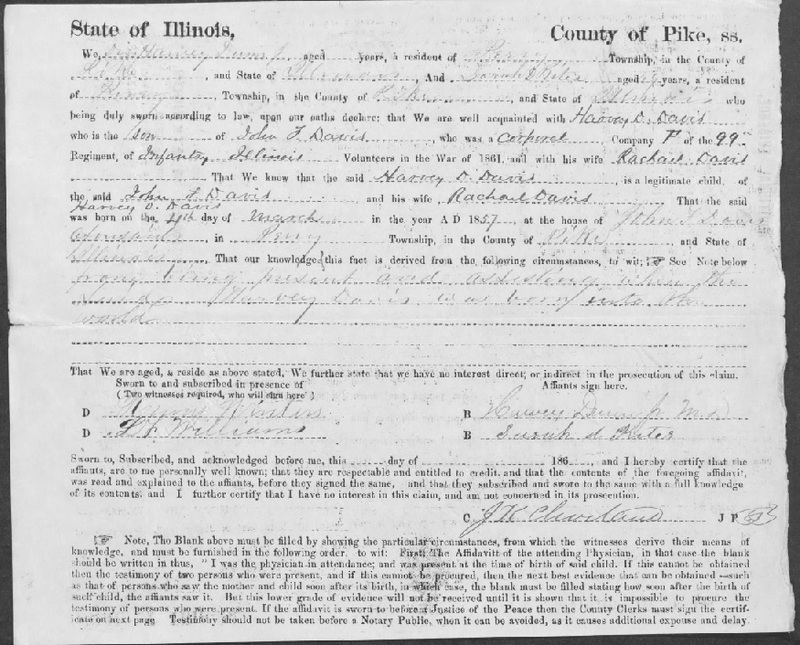 There is an 1865 Illinois state census but it doesn’t list each person in the household. One of the most interesting documents found about Sarah was found by my sister-in-law, Becky. She found three affidavits Sarah gave on behalf of her mother, Rachel, when Rachel was applying for John DAVIS’ military pension (John was Rachel's husband and Sarah's dad). Sarah gave affidavits stating that her brothers (Charles D., Alpheus B., and Harvey D.) were the legitimate children of John and Rachel DAVIS and she knew this because she was present at their births. Sarah would have been between 16-20 years old when her brothers were born. 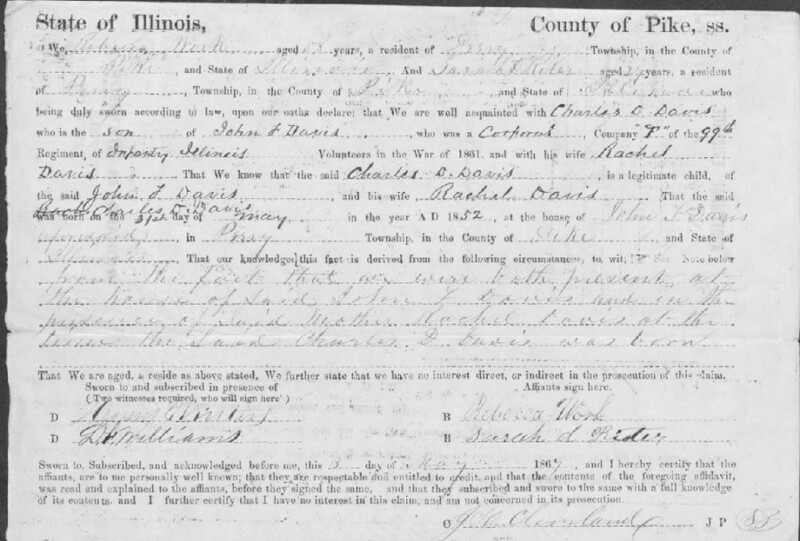 58-year-old Rebecca WORK, and 29-year-old Sarah RITER – both residents of Perry Township, Pike County, Illinois - signed an affidavit on 3 May 1867 declaring they were both present at the birth of Charles D. DAVIS (Sarah’s brother) on 31 May 1852. 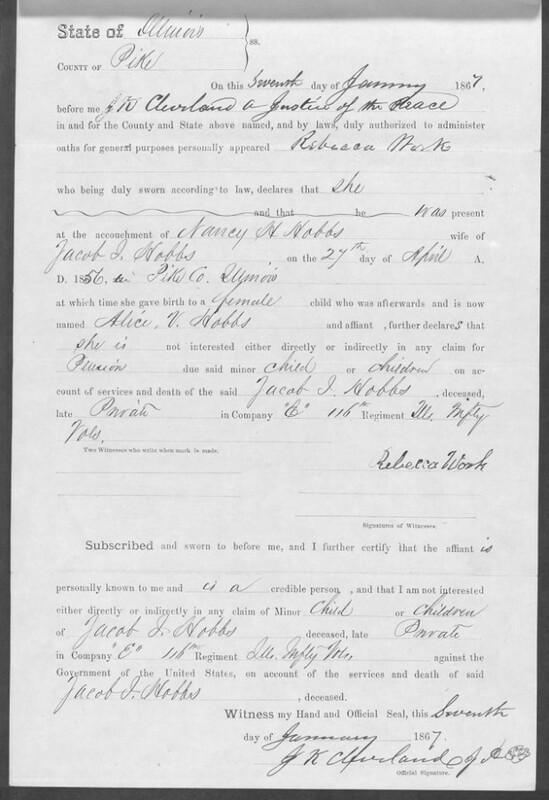 Affidavit regarding the birth of Alpheus B. DAVIS. 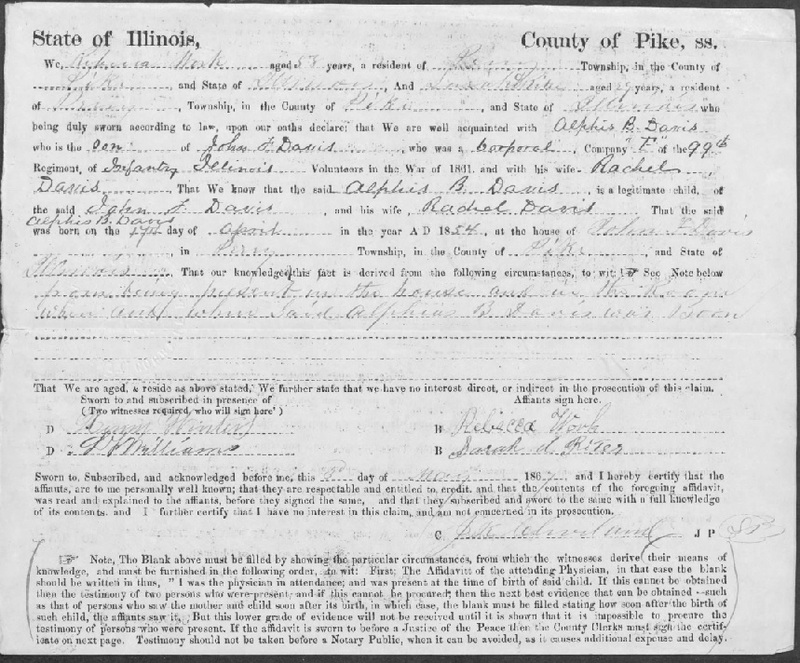 Dr. Harvey DUNN Jr. and Sarah A. RITER (both residents of Perry Township, Pike County, Illinois) signed the third affidavit declaring they were both present at the birth of Harvey D. Davis on 4 Mar 1857. All three children were sworn to be legitimate children of Corporal John F. and Rachel DAVIS. When I read these affidavits I wondered if Sarah might have been a local midwife. I have no proof that she was or that she wasn’t. Another thought crossed my mind. Sarah died from “Consumption”. You’d know that disease better as Tuberculosis. My thought was whether Sarah contracted Tuberculosis while delivering a baby. I don’t know if that’s possible. That's just the thought that crossed my mind. She was present at the births of her brothers from age 16 until the last recorded sibling of hers was born. She attended these births with another older woman for the 1852 and 1854 births. I have tried researching Rebecca WORK but have not made much progress. My goal was to find out if she was a relative, a local midwife, a good friend, etc.. I can’t answer for any of these possibilities at this point. While researching I did find a biography for Dr. Harvey DUNN, Jr. 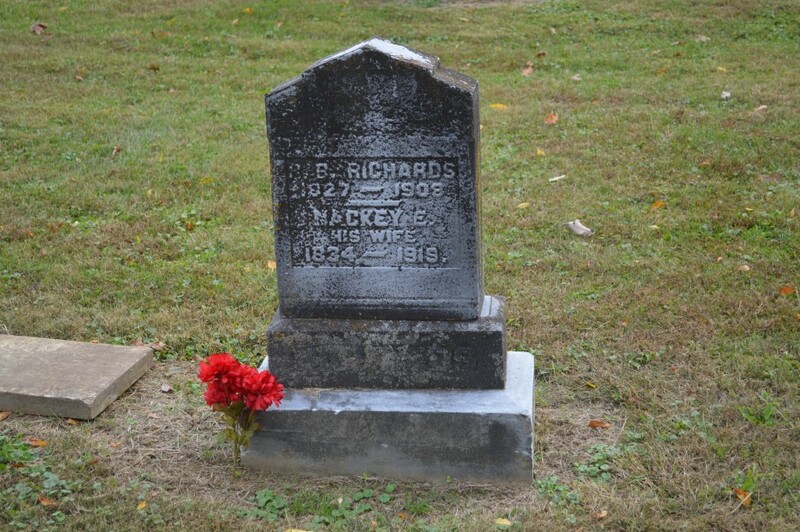 If you’re interested, you can read it on Google Books in the book, History of Pike County, Illinois or on FindAGrave website. Just an FYI, Rachel (Sarah’s mom) did have another child in 1853- a boy named Jonathon. Because of the wording in the pension paperwork that Rachel filed, I believe that this child died prior to the filing of the pension paperwork. In February of 1870 Sarah died of Tuberculosis. My niece read a book when she was younger entitled, Breathing Room by Marsha Hayles. It’s about a young girl who contracts Tuberculosis and moves to a sanitorium to be cured. Now that I’m thinking about that book, it makes me think that perhaps Sarah was in a sanitorium in 1860 and that’s why I can’t find the family on the census. Isn’t it funny what types of things give us an inspirational idea like that? I think I’ll go research that angle now and maybe see if I can check out that book, too. I’m so thankful for modern medicine. If you’re sick, go to the doctor! There are so many people in your life that would miss you and need you if you were gone. Do it for them if that’s what you need to do. This illness that’s currently going around is nothing to mess with and in Nevada a woman died recently from a Superbug that we have no medicines to treat. Don’t take chances with your health. We need you here! William Drake, Weekend Wrap-Up and Sunday Schedule - Better Late than Never! My computer and internet connection have been giving me a lot of problems, as you know. As I was writing the blog post on William DRAKE this weekend (which you will find below), my computer AND internet both decided to act up again. I think we've resolved at least the computer problems today, though. So hopefully if I'm lucky, I can work around the internet connection issues in the future. In any case, here is your all-in-one weekend edition of Days of Our Lives blog. I've struggled for a week trying to come up with a story to tell you about William DRAKE, my paternal 3rd great grandfather. I've written about a lot of the people connected to William but I haven't written much about William himself. I still don't have a great story to tell you (even though I've searched all week) but I'll tell you what I can. If you'd like to catch up on the people connected to William, just go to the 'Tags' link and search for his relatives by name. William was born in February of 1850 in Indiana to Ervin Alonzo (Poppy Lon's grandpa) and Lavina PILGRIM DRAKE. Sometime between 1860 and 1870 William moved to Missouri with his parents. In 1870 the family was living at Kingsville, Johnson County, Missouri- near Kansas City. By 1874 the family had already moved to McDonald County, Missouri. At some point, William met Hester Ann Eglentine MITCHELL. 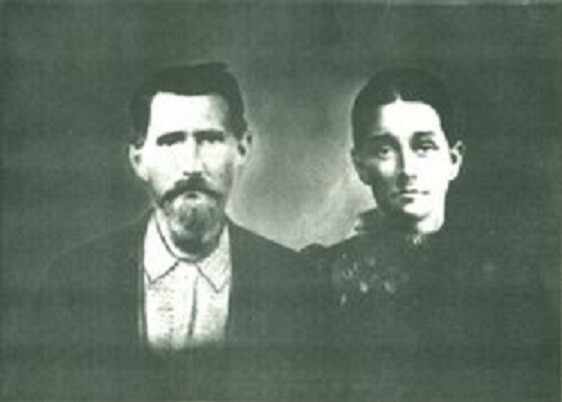 He married her on 7 June 1874 in Pineville, McDonald County, Missouri. Marriage certificate for my William DRAKE and Hester Ann Eglentine MITCHELL. The following year they had their first son, Alonzo Ervin, who is my 2nd great greandfather. Together they had 7 children. They also adopted a daughter, Perlie A. CALVIN. The first census that William and Hester appeared on together as a couple was in 1876. I just found it this week. Their name showed up as DEAKE, however it is William and Hester along with their son, Ervin. At that time, they lived in Township 23 which included the towns (some now defunct) of Bethpage, Erie (now Goodman), Longview, May, Blankenship (also known as Plummer, Blair, and McNatt's Mill), and Rocky Comfort. 1876 Missouri State Census. William and Hester are in the red circle. The only other census I've been able to find them on as a couple is the 1900 census where they lived in McMillin Township, McDonald County, Missouri. You would know this area better as Tiff City. A MITCHELL family (possibly Hester's relatives but I'm not sure) settled in this area in 1852. This MITCHELL family came from Tennessee, as did Hester's. The first structure built was a distillery. It was a log structure that stood 3 ½ stories high! You can read more about the area in the Illustrated History of McDonald County, Missouri: from the earliest settlement to the present time. William's occupation is listed as 'farmer' on all the records I can find for him. If you'll remember, I wrote previously about the fact that some researchers believe William was a constable but I have not found any proof of that. 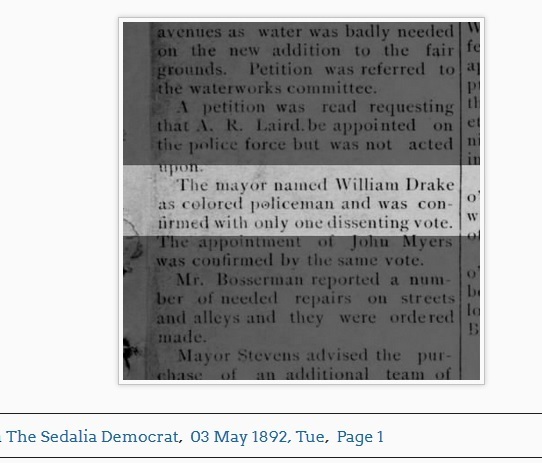 There is a William Drake near Kansas City who was a constable at approximately the time my William DRAKE lived there but these two William's are not the same person. This William Drake is NOT my William Drake. I have no photograph of William and don't know if one even exists. He passed away in 1909. I have not found any record of his death and very few records about him when he was alive. There isn't any weekend wrap-up to do. I've been very busy so I haven't gotten to do as much research and no one has messaged me with any additional information about the people I wrote about this week. Monday February 6th: Sarah DAVIS REITER, my maternal 2nd great grandmother. 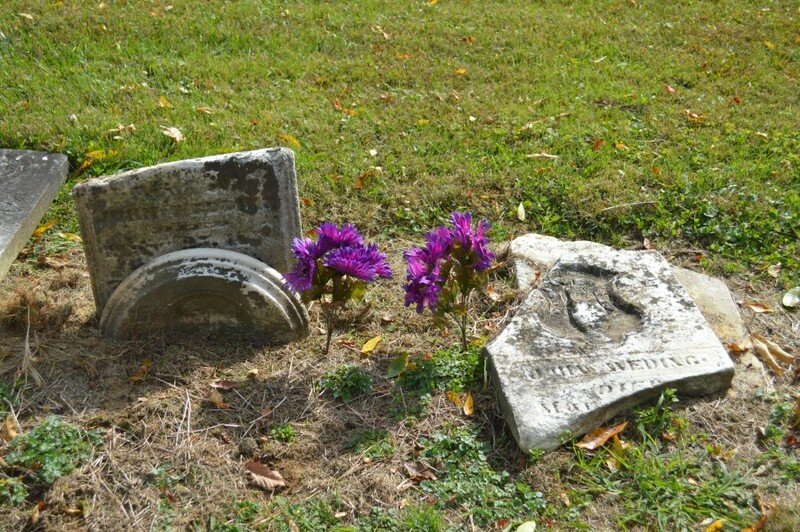 Sarah passed away in February of 1870. Thursday February 9th: Lucille DEWITT WILLIAMS CULLOM, my husband's paternal great grandmother. She was born on this date in 1882. Friday February 10th: Mary McATEE WEDDING, my paternal 5th great grandmother who was born on this date in 1788. I'm looking forward to the week when I can get back on schedule. This week is my last week of training for the new job so hopefully we'll be back on schedule if not this week, then next. Thanks for sticking with me through all these computer and internet access issues and training for the new job. I hope you enjoyed your weekend and are rested up for next week! In 2011 (January 31-February 2) Oklahoma got more snow than I ever remember seeing in my lifetime. It was a mix of snow, sleet, and freezing rain. We went without power for around 2 weeks during that blizzard. I was stubborn. I was sure I could wait it out and we did stay in our house on the hill for a few days- Derek, Shaina, and I. (Bart was working in another state on a job with Siemens so he wasn't home.) We kept the propane heater on high to heat the house because that was our heat source but also, it didn't need electricity. We weren't able to cook so we ate what was in the house and I had stocked up before the bad weather hit so we were doing fine on food. At night we would play board or card games, read, or listen to old time radio shows by candlelight and battery-operated camp lanterns. 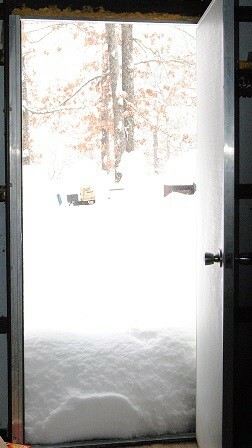 One morning I opened the door and the snow was up to my thighs. The snow was so deep it was level with the bottom edge of the window. 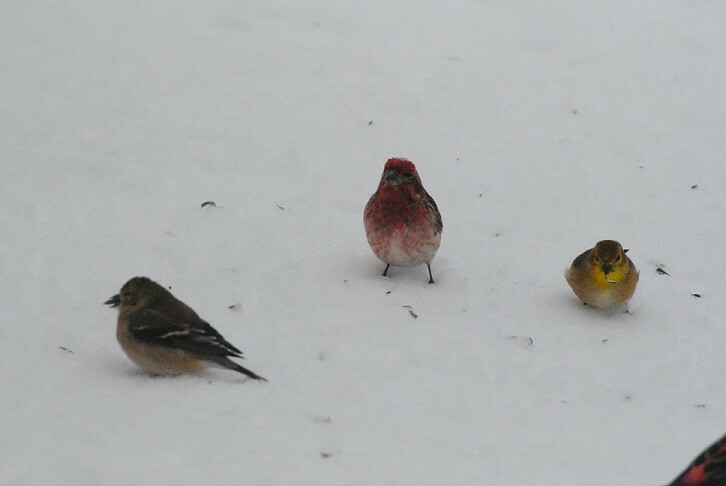 I would open the window and toss out the sunflower seeds onto the snow so the birds could have food. The snow covered our bird feeder. The bird feeder covered with snow. There was no way we could get the cars out of the drive and down the hill. It did soon become apparent though that we needed to leave for our own safety. We called a relative (probably Bart's dad) to come and get us and take us to my parents' house. On the way down the hill it was so eerily quiet and every few steps you could hear tree limbs crashing down to the ground from the weight of all the ice. I worried that the trees we were walking under would crash on top of us. One did crash right behind us after we had passed and that was plenty close enough! We stayed with my parents for the remainder of the two weeks and when the road finally was clear enough to drive on, Bart's dad took me back to our place. It was a good thing we left when we did! On our first trip back, we could barely get to the first driveway on our dirt road. It seems like the second time we tried to go home we got down close to our driveway. Huge trees had fallen down on the road and blocked access. When we could finally get to the driveway, we found huge trees had fallen on the driveway as well. Some were laying hillside to hillside and I could stand and walk underneath them. Bart's dad and I (probably mostly his dad) took chainsaws and cut our way back up to the house on the hill. It was quite a clean up job. Schools and businesses were closed, airports and interstates were closed, The Tulsa World even cancelled several print editions of its newspaper in the early days of February that year citing weather and the safety of it's employees...which brings to mind something else. I just started a postal job this week. You know the saying, "Neither snow nor rain nor heat nor gloom of night stays these couriers from the swift completion of their appointed rounds"? Well, in 2011 even the postal carriers were having difficulty delivering mail. The U. S. Postal Service actually put out a statement that they were attempting deliveries but that delivery in some areas may not be possible. In fact, in some areas the mail wasn't delivered for a while until conditions were safer. 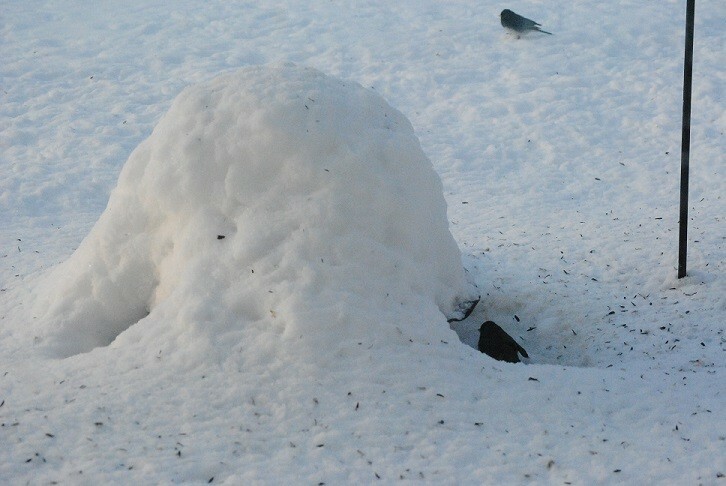 Temperatures were very low, the wind was blowing hard, roofs were caving in from the weight of snow and ice. We had no idea what condition our house would be in when we could finally get back to it. When we finally got the trees cut out of the driveway and got up to the house, we found that the house was just fine. It was still warm, still had running water, no caved roof or broken out windows. It was just waiting for us to come back. (Although the birds were really hungry by the time we returned.) It was nice to know that Bart and Derek, mine and Bart's dads, and other relatives had built us a sturdy house to live in. It was also especially nice to be back in our own home and sleeping in our own beds. We were appreciative of the generosity of family who let us stay with them but it sure was nice to get back home. I was surprised to find that Wikipedia actually has an article about this storm. Apparently the storm had a name; it was called, "The 2011 Groundhog Day Blizzard". The reason I started this blog (other than I love to write about my family history) is so that my daughter and grandchildren will have the family history and family stories available to them at whatever point in life they become curious to know this information. Bart and I won't always be here to tell them these stories and give them this information. I hear once you put something on the internet it's out there forever so I decided to put these stories (and photos) out here. One day they will want these stories. Every once in a while I think about the questions I wanted to ask my grandparents and lots of those questions were about them personally and not just about the ancestors before them. Things like where they lived, how they met and fell in love, who were their friends, etc. So occasionally on the blog I'm going to start telling short stories about Bart and I called "Stories for the Boys" so that those stories are available for them also. Today's "Stories for the Boys" photo-story is just a little paragraph about mine and Bart's dating years. On this day in 1919, Joseph LARKIN passed away. Joe is my paternal 3rd great grandfather. He is buried in an unmarked grave in the old part of the G.A.R. cemetery in Miami, Ottawa County, Oklahoma. Joseph LARKIN and his wife, Mary Elizabeth LANE LARKIN. I looked back through my posts to see what I'd already written about him so I didn't give you duplicate information. I found posts for his wife, some of his children, his parents, one of his siblings...but no post about Joe. He was included in other posts such as in his son William's post about being a road paver in Tulsa or in his brother's post about his brother going to prison for murder...things like that. So I decided what I want to tell you about today is Joe's military service. 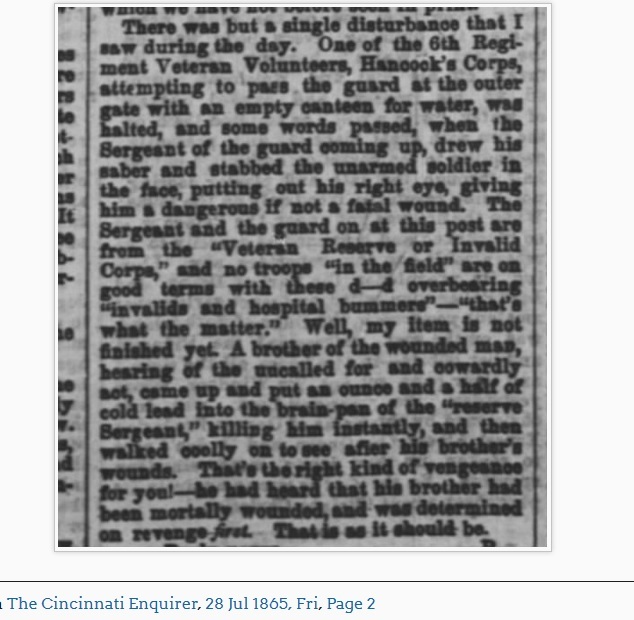 When Joe enlisted he was in Company K, 59th Ohio Volunteers. Later he would transfer to the 73rd Regiment, 2nd Battalion, Veteran Reserve Corps. The Veteran Reserve Corps, or VRC, was originally called the Invalid Corps and a man would get transferred to the VRC when he was physically unable to go into combat due to illness or injury. 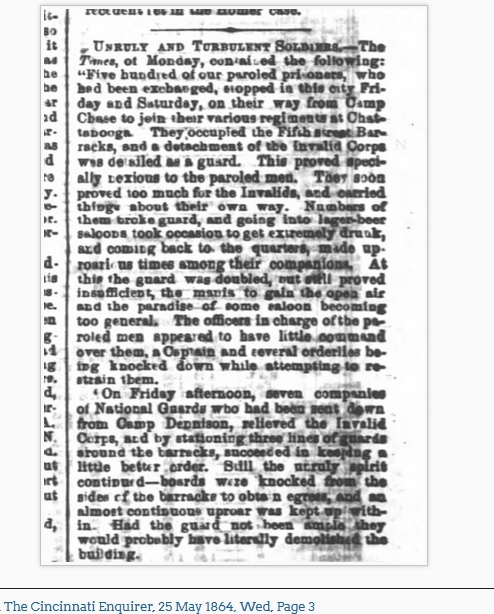 The VRC allowed the men to still participate in the war by doing light duty. The 2nd Battalion- Joe's Battalion- was made up of the men whose disabilities or injuries were more serious- lost limbs or other serious injuries- as opposed to the 1st Battalion which was made up of men whose injuries were relatively slight and who could still handle a musket and march. Joe and the other men in the 2nd Battalion were often employed as cooks, nurses, guards of public buildings, draft enforcers, and orderlies. Jacket: Made of sky-blue kersey [a fabric that is woven from short-stapled wool and is coarse and ribbed and has a short nap], with dark-blue trimmings; cut like the jacket of the U.S. Cavalry, coming well down on the loins and abdomen. They would also occasionally wear a standard dark blue fatigue blouse and their standard forage caps were decorated with the brass infantry horn, and the regimental number and company letter. There are some great VRC uniform photographs at the Civil War Home website. It was four members of the VRC who executed the four conspirators who were linked to the assassination of President Abraham Lincoln. Likewise, it was the men of the VRC who received President Lincoln's body when it lay in state. Stabbed in the eye?! Ouch!! Too riotous for the VRC! Sadly, the VRC soldiers did not receive a lot of respect and were often derogatorily called “The Cripple Brigade”. (University of Massachusetts) I use the term "cripple brigade" here more as a badge of honor for someone who served even though disabled rather than as a derogatory name. My back and chest he hammered. And cannot go and fight, sir! Of course it must be right, sir! To pass he had attempted. Wherever you might be, sir!" To take and look you over." And tell your marm you're coming!" Some were too "fond of bitters". To see how "cute" they looked. You can learn more about the VRC here and here (all about the uniforms, including images; really- go here and look, it's great and if you scroll to the end there is a list of all the reasons a man might be sent to the VRC). I also recommend checking out a Facebook group about the VRC- “American Civil War-Invalid Corps”. I hope you've enjoyed learning about this lesser-known group of soldiers. As always, I've thoroughly enjoyed telling you about them. I apologize about the delay on the photo of Joe. Please check back in a few days and hopefully I will have found it and added it by then.